Mold was growing in the crawl space underneath this customers home, they it was unhealthy and created a hazard for their home so they contacted Crawl Space Solutions of Arkansas. Our team of professionals came out and installed our vapor barrier, CleanSpace. This liner encapsulates the area and protects your crawl space from pests, humidity, and moisture. This homeowner was experiencing water in their basement and did not know what kind of damage they could experience. To solve the problems they were facing we installed a SuperSump to pump the water out of the basement. Watergaurd was also installed, this watergaurd is an interior drain that goes straight to the SmartSump and out of the basement. This Crawl Space in Walnut Ridge, AR had mold accumulating. 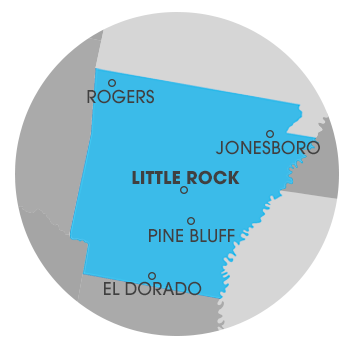 The crawl space environment was not healthy, which is what led the homeowners to contact Crawl Space Solutions of Arkansas. Our team of professionals came in and installed a CleanSpace Vapor Barrier, a specially designed liner that keeps out pests, humidity, and moisture that can lead to mold growth. A dehumidifier was also installed to control the air temperature of the space. A wet crawl space in Mammoth Springs left homeowners feeling uneasy, so they contacted Crawl Space Solutions of Arkansas. We sent a system design specialist out assess the area and lay out some solutions. After consulting with the homeowners, it was agreed to install a CleanSpace Vapor Barrier and Drainage Matting into the homes crawl space. Each will play an integral part in keeping the crawl space a dry and healthy space. Contact us to schedule a FREE estimate for your Crawl Space! A Crawl Space in West Helena, AR was exposed to the elements, allowing it to let in moisture causing humidity. Conditions such as these are not healthy for your home, as you breathe in the air that filters through your crawl space. Crawl Space Solutions of Arkansas came out and installed three elements; a CleanSpace Vapor Barrier Liner, a dehumidifier, and drainage matting. Each will place an integral part in keeping the crawl space dry and humidity free.